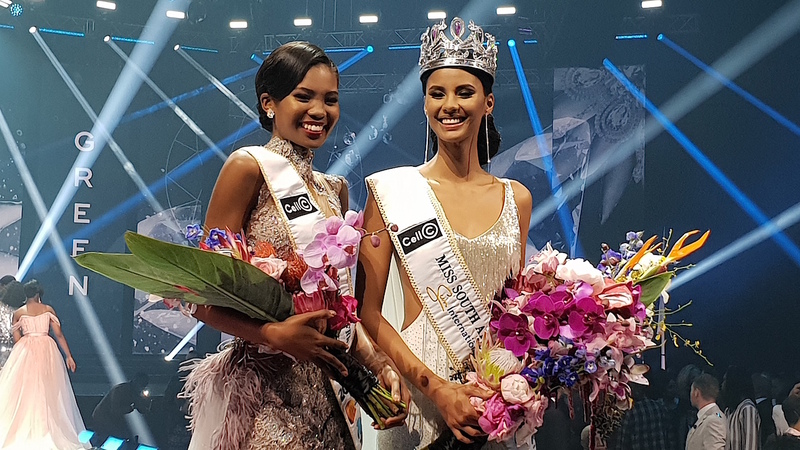 A radiant Tamaryn Green has been crowned Miss South Africa 2018 in the year that the pageant proudly celebrated its 60th anniversary Diamond Jubilee. The 23-year-old medical student from Paarl will receive R3-million in prizes in one of the richest pageants in the world. Green will also be representing South Africa at the Miss Universe pageant at the end of the year. Runner up was 26-year-old B Comm graduate Thulisa Keyi from East London who took the title Miss World South Africa and who will represent South Africa on the global stage in this competition later this year. She will receive nearly R600 000 in prizes. An excited and overwhelmed Green said she was determined to make a difference during her reign. In her Miss South Africa acceptance speech Green said: “I promise to build on the legacy of all former Miss South Africa title holders and to represent my country with elegance, style, beauty and unwavering commitment. Miss South Africa is so much more than just a competition. It is a calling, an opportunity to give back to the country that has richly provided so much to me so far. The event – broadcast live on M-Net and Mzansi Magic – was a star-studded affair. Nearly 40 former Miss South Africa titleholders were in attendance including Miss Worlds Penny Rey Coelen (1958), Anneline Kriel Bacon (1974) and Rolene Strauss (2014). Also in attendance were former Miss Universe Margaret Gardiner (1978) and the reigning Miss Universe Demi-Leigh Nel-Peters. There was also Basetsana Makgalamele Kumalo (1994), Kerishnie Naiker (1997) and Bokang Montjane Tshabalala (2010). The Miss South Africa 2018 selection panel were queen of SA talk and radio jock Anele Mdoda; entrepreneur and television presenter Janez Vermeiren; businesswoman and media mogul Khanyi Dhlomo; marketing personality Khaya Dlanga; award-winning magazine editor Michelle van Breda; Miss World 2014, Dr Rolene Strauss and celebrity chef and TV personality Siba Mtongana.